Kids and space ships go hand in hand, which is why so many of us fondly remember Lego set #1682, the Space Shuttle Launch, released 27 years ago. 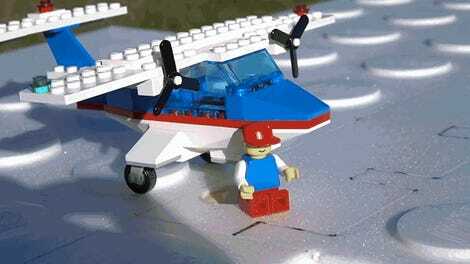 Last month Adam Woodworth created a tiny drone version of Lego’s shuttle that could fly indoors, but now he’s created a larger version that can soar through the sky like an RC plane. 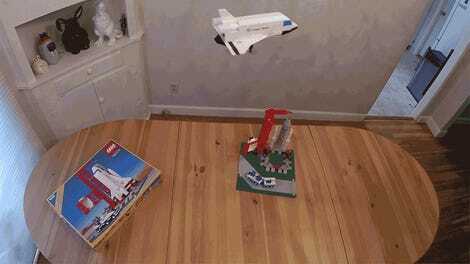 Turning a Lego set into a flying toy is no easy feat. Lego’s designers don’t take into account aeronautics when they’re creating a set like this, they just want the space shuttle to look realistic to entice kids. As a result, the final product features rough angles, tiny wings, and unrealistic proportions. Since Woodworth is actually an aerospace engineer, however, he was able to work around those limitations. 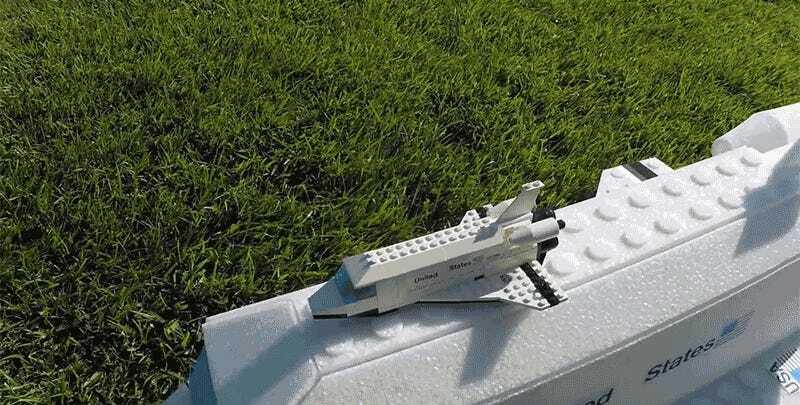 Woodworth’s shuttle is five times as large as Lego’s and its made from 9-millimeter-thick foam sheets instead of hundreds of plastic bricks. The flying shuttle’s motors were mounted to the moving elevons on its wings, which adds to its maneuverability in the air, but makes it especially sensitive to pilot error. Luckily, the lack of actual rocket engines means a crash isn’t going to result in a catastrophic fireball.